One of the coolest things about Star Trek Online, if not the coolest thing, is the sheer amount of officially licensed and original starships there are on-offer in-game. 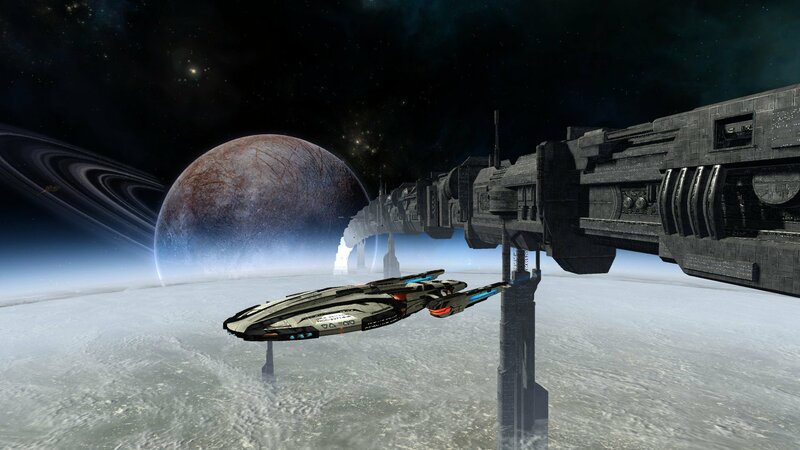 Eight-plus years of operation have given the game's players hundreds of starships to choose from, both canonical and original to STO's timeline. Soon, players will be able to bring their favorite ships from STO into the real world thanks to developer Cryptic's partnership with 3D printing company Mixed Dimensions. Based on the company's "GamePrint" service, players should be able to order 12" 3D-printed models of their personal ships, ones that take into account their ships' unique name, combination of parts, and even cosmetic skins. Currently the details are just limited to the blog post, but the plan is for customers to have options for ordering prints of their ships, from pre-primed single-color models ready to paint, or the ability to commission one of Mixed Dimensions' artists to paint the model outright. A line of 20 standardized models based on STO's most popular original designs will also be produced for fans. There's no word yet on pricing, though I'd wager it'll be pricey, at least for the painted ones. This is pretty cool news for me, as some of my favorite Star Trek ship designs are native to STO. I'd really like the chance to get my very own the U.S.S. Bellator (pictured above) to take the place of honor on my desk.